December is for working out the kinks. It’s for jello legs and busted gear and piecing things back together after you threw it all in the garage in April and forgot about it. If you have everything dialed—waxed, fixed, ready to go—before Christmas, you’re either lying or you’re way more prepared than I’ll ever be in the early season. Kinks are inevitable, and that’s why early-season clinics and avy trainings are critical. This is where SAFE AS comes in. Organized eight years ago by a slew of hard-charging women—including Ingrid Backstrom, Elyse Saugstad, Michelle Parker, Jackie Paaso, Lel Tone and Sherry McConkey—SAFE AS (short for Skiers and Snowboarders Advocating and Fostering Avalanche and Snow Safety) has provided not just an introduction to avalanche safety for hundreds of people, but continues to be a way to ‘screw your brain back on,’ as Backstrom says, in the early season. But SAFE AS isn’t just a good place to make sure your beacon batteries aren’t dead and practice the skills that got rusty over summer—it’s also an environment that is wholly different than any other course most students experience in their progression through avalanche education. It’s a one-day introductory course that includes a morning yoga session, classroom training and on-snow practice. Some use it as a refresher while others use it as their first taste of avalanche education in a judgement-free environment. This was the goal to begin with, according to Backstrom, who remembers being slightly turned off by the vibe of the first avalanche classes she took. 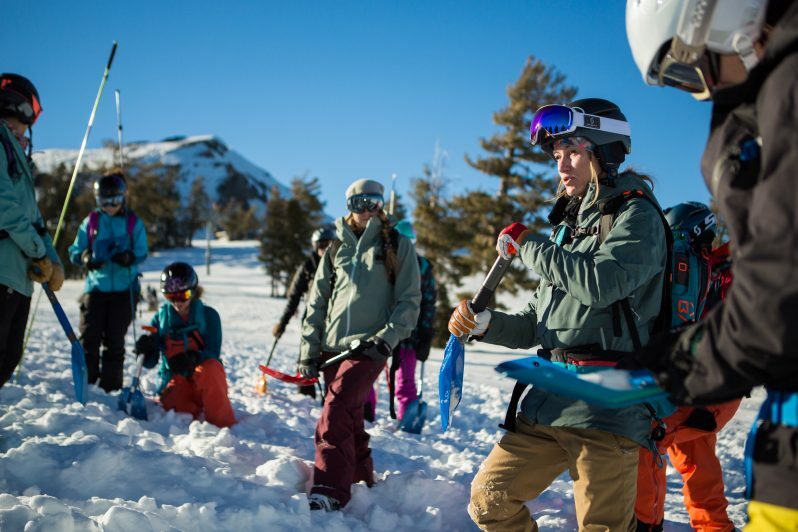 But after taking their avy level one course with a close friend and having a blast, Backstrom and the other women realized there was another way to approach avalanche training—the fun way. But beyond the fun factor is perhaps the most critical part of the SAFE AS curriculum—the human factor. Another part of the human factor, undoubtedly, is how women interact with men in the backcountry—specifically when they’re outnumbered. SAFE AS began as a women-specific ski clinic, but has since progressed to be both co-ed and open to snowboarders. 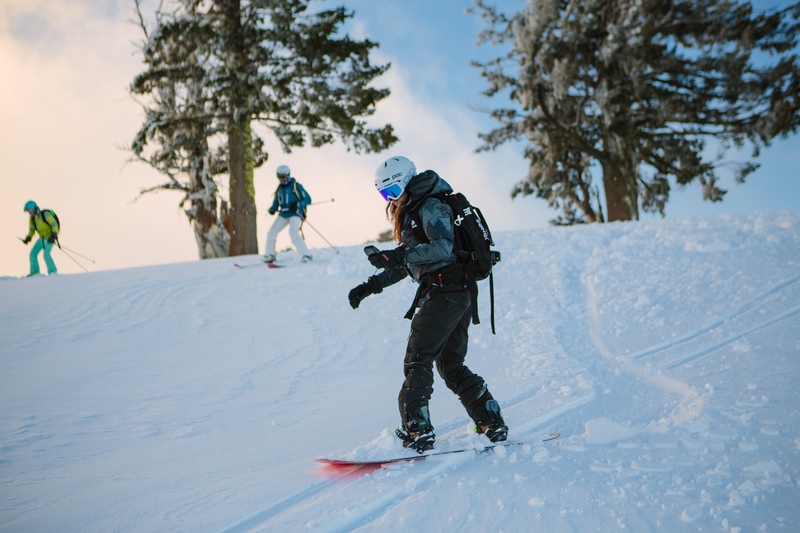 This year, skier Cody Townsend will assist with the Squaw Valley clinic, while snowboarders Robin Van Gyn and Hana Beaman will also be around to help out. The Squaw Valley clinic will take place Dec. 8-9, while the Steven’s Pass class will take place from Dec. 15-16. The Saturday of each clinic will be dedicated as women-only, while Sundays are co-ed. The addition of co-ed clinics was an important step for the SAFE AS organizers, as students were approaching Backstrom and the other instructors with the concern that they ride with their male peers, so why wouldn’t they want to learn alongside them as well? 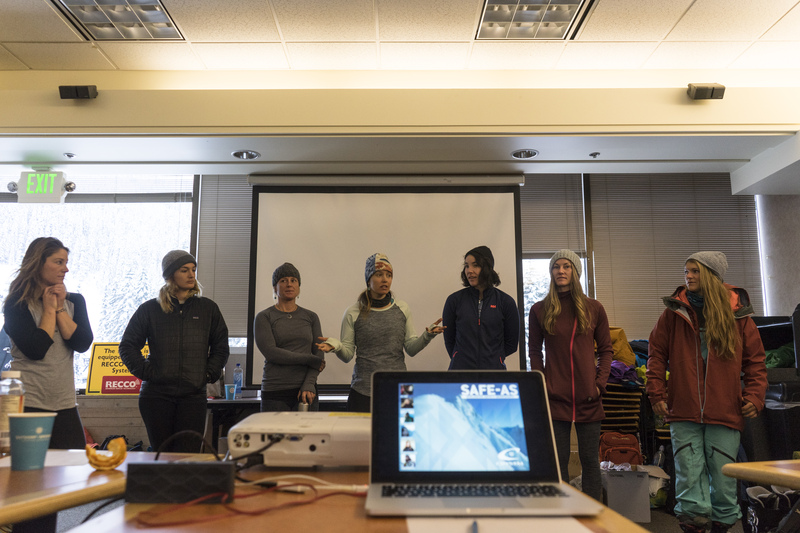 The approach of learning together—and knowing that there’s always more to learn, more practice to do and that no one is an expert—has contributed to SAFE AS being a welcome, non-judgmental arena for the full breadth of beginner avalanche education. “The main points we want people to leave with is that there is always somewhere you can ski, we don’t want to scare people,” she says. “That’s a common thing where people go to their first avy class and they leave feeling like they were blissfully ignorant before and now they’re totally terrified. More information about the SAFE AS clinics—including how to register for one—can be found at www.safeasclinics.com. 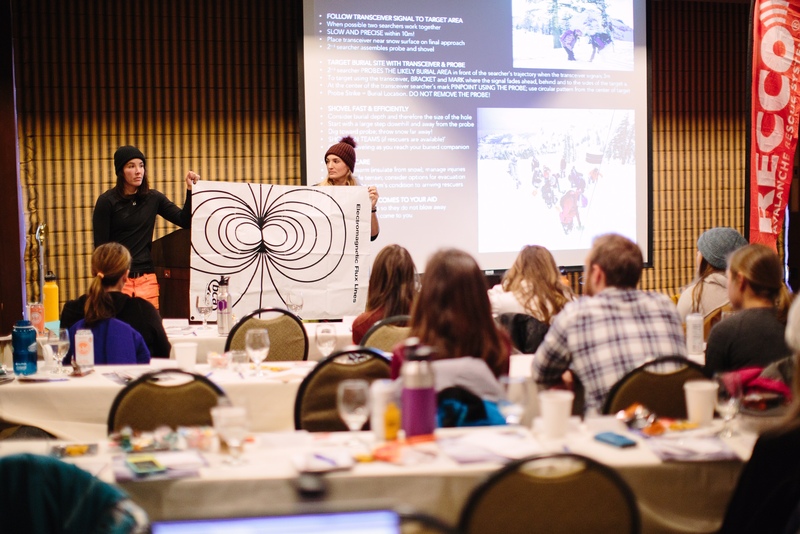 Check out our coverage of last year’s SAFE AS clinic at Steven’s Pass here.